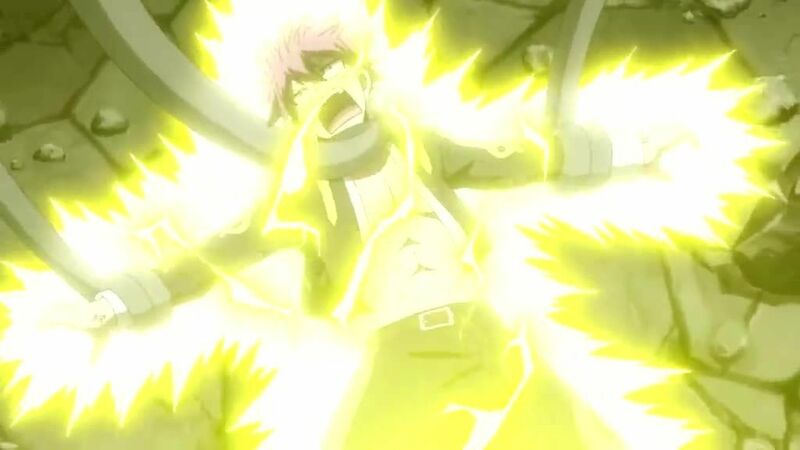 Sensing that Face has been deactivated, Franmalth begins absorbing Natsu, Lucy, and Happy’s souls in a fury. When Lucy closes the gates of her celestial spirits absorbed by Franmalth, the demon releases them to avoid being sent to the celestial world with them. Lucy tricks Franmalth into thinking Natsu is a spirit, allowing Natsu to break free and smash Franmalth with giant rocks, defeating him. This frees Hades’ soul, who warns the wizards that detonating Face is not Tartaros’ true objective. Meanwhile, Mirajane destroys Tartaros’ laboratory in her fight with Seilah, preventing Ezel and Franmalth from being resurrected. Finding that her curse has no effect on Mirajane, Seilah unleashes her true power to fight her.